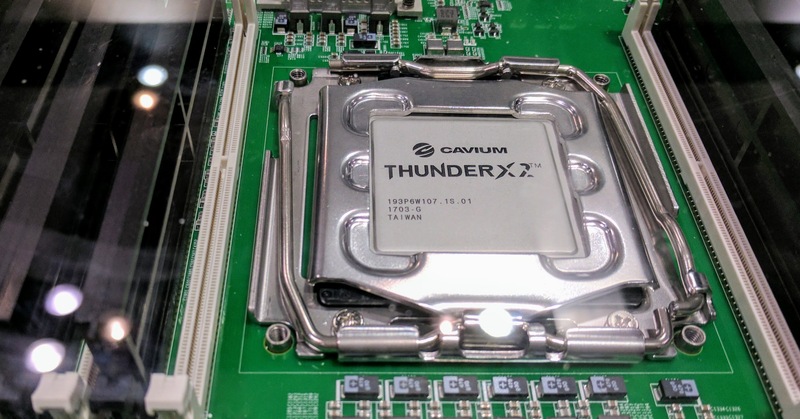 Cavium ThunderX2 is a HPC oriented 64-bit ARM chip. 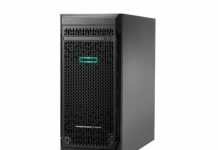 We know from what we saw at Super Computing 2017 that one of Cavium’s major partners in the second generation product is HPE. For example, we saw Cavium ThunderX2 being used in HPE Apollo systems and HPE The Machine. Recently, EPCC announced that it is teaming up with HPE, ARM, Cavium and others as part of the Catalyst UK program to deploy an Apollo 70 system containing 4096 ThunderX2 cores. That is a massive number of cores. To estimate the number of systems that this entails, we can use 32 cores per CPU and 2 CPUs per system. Using Cavium, HPE can deliver 4096 cores in just 64 systems. 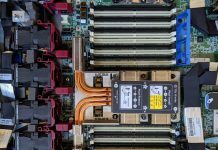 This is an enormous improvement over deploying Qualcomm Centriq 2400 and Ampere eMAG, as Cavium ThunderX2 is a proper ARM solution that supports up to dual socket deployment for real workloads. We think this is important for two reasons. First, it is another deployment of a ARM HPC cluster that is more akin to standard operating models used today. Second, the goal of the research cluster is to port applications to ARM. Most of the code in this space is written for x86 architectures along with CUDA accelerators so there is a lot of porting work to be done. We learned quite a bit about the Cavium ThunderX2 and OCP Platform Details in 2017 and even heard partners beyond HPE shipping servers, e.g. Cavium ThunderX2 Servers from Gigabyte and Ingrasys Shipping. 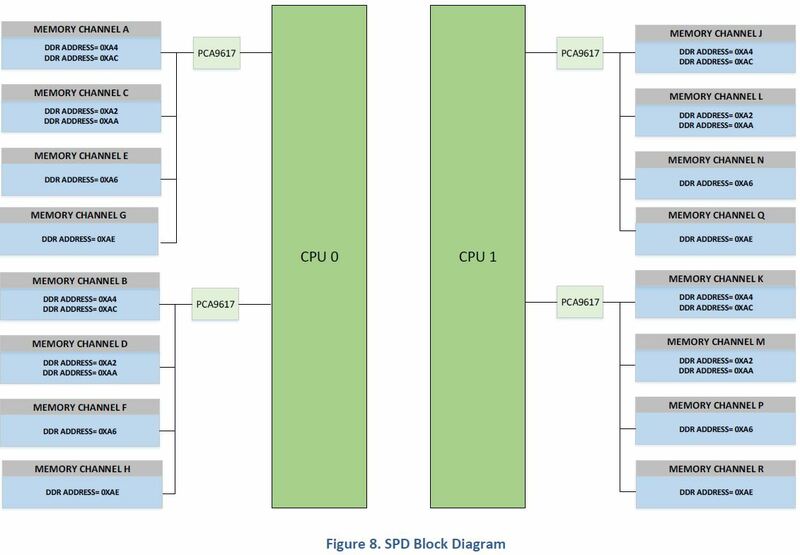 Here is a diagram we saw last year showing off an 8 channel memory configuration. 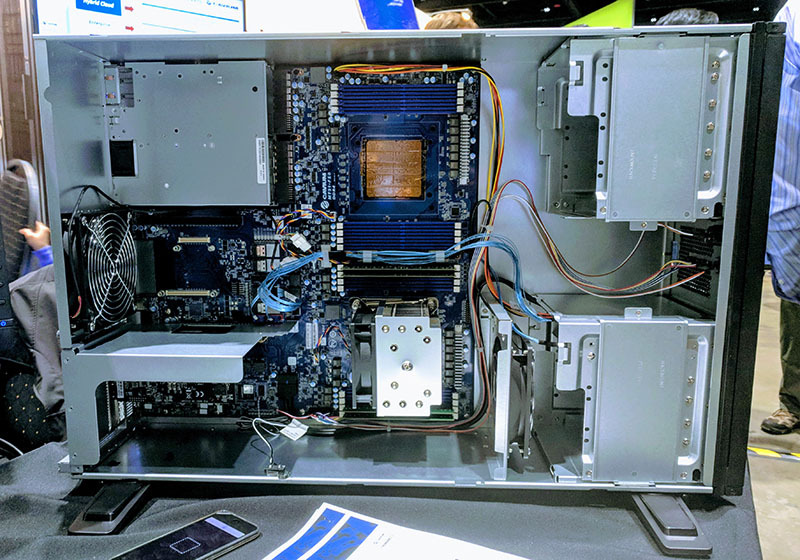 At OCP Summit 2018, we learned more about ThunderX2 with the release of a Gigabyte workstation called the ThunderXStation. 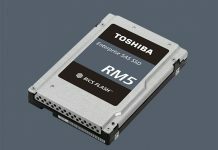 All signs are pointing to more ThunderX2 availability and momentum in the market.